Polartec Powerstretch Pro is engineered to elevate the performance of fleece. 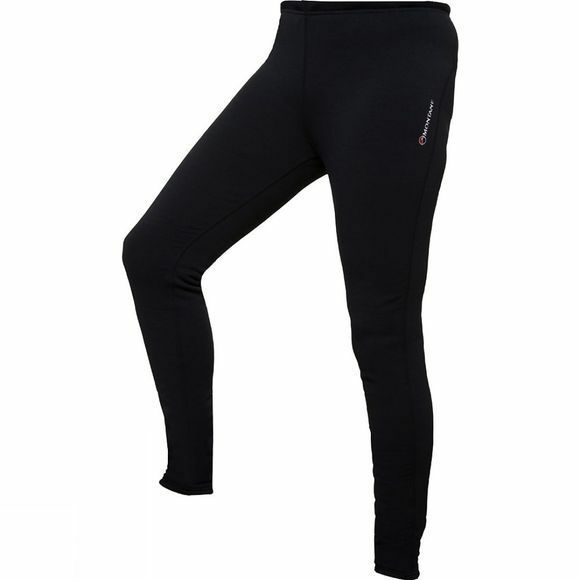 Wicking, resiliently stretchy and with enhanced durability, the Montane Women's Power Up Pro Pants are designed to provide comfort and durability against the elements as a thermal base layer or as stand-alone legwear. Polartec Power Stretch Pro is a highly technical performance fabric, which offers all the thermal and quick drying properties of a lightweight fleece with added durability and stretch resilience. Minimal flatlock seaming ensures a close and comfortable fit next to your skin.